"Today, the 70-year-old father right. Age is long enough. Dad rarely cried. To my knowledge, only twice. First, when they want to marry her youngest child. Father cry. He felt guilty because he did not have money for wedding expenses of her younger daughter. Degenerate and are forced to sell his business. This could be because none of his son wants to proceed. In collaboration with the older brother, I explained that it was a marriage of financing our collective responsibility. The second time, when he had lung surgery. Although not smoke, he often slept late, which was not good for his lungs. He cried stress is not a disease. But, as you might guess, because unfortunately, can not be financed. Operation went well. The health of the father continues to improve. Sometimes, he asked how much we spend on operating costs in advance. We are never told. Just ask him to continue to pray for us, children and grandchildren. I would like the story is often encountered. Parents probably related, there is good news and there's bad news. The good news, they have a longer life. It is thanks to the support of nutrition, improving the environment and health. My in-laws, for example, 83-year-old. Stay healthy. But there are bad news. Most of them do not have the support of the health insurance and pension funds. I'm sure the group will be much. Because baby boomers have also experienced the phenomenon. Namely, births peak after the end of World War II. In the United States, it is estimated boomer group comprises 21% of the population. Many have already begun to enter the retirement age. Unexplained bear the cost of these pensions will actually worsen businesses, state and federal government. Remember automaker GM to be supported by the government. Not only because of competition from Japanese and Korean manufacturers. But because pension law. Also known by the State of California that carry the burden of pension funds. My mom including baby boomers, born in 1945. He had reached the retirement age a few years ago. It was fortunate, as a retired civil servant who had pension funds and health insurance. Learn from the experience of older people, husband and wife, we are committed to better prepare for retirement. We must have health insurance programs. Presumably awareness and prepare the pension insurance is concerned as many people who now run the family. Awareness is also formed when investment funds saw the need for education of children continues to rise. My father has always instilled the belief that education is an important factor to change the destiny. Thanks to the prayers of parents and hard work, I got a scholarship to the user interface and the National University of Singapore. Observe the fierce global competition, we expect to be married that our children are studying abroad. To be more open horizons, develop relationships, learn practical skills, including foreign languages, more autonomy. Indeed, education is not enough, must have the courage to live. From the beginning we teach entrepreneurship to children. Career opportunities in the field of insurance and financial managers clearly open. In addition, there are many "underlying", from government bonds, corporate bonds, stocks and mutual funds was. All these groups of assets could potentially replace the role of deposit whose profits tend to be less competitive. As fund managers, we also benefit from this phenomenon. Because the partners of the insurance trust fund management company, the potential based on the individual is enormous. But behave as institutional investors with a long investment horizon. Now let's be systematic. We will define the market as persons roommates has the willingness and ability to buy. People obviously refers to the demographic potential, particularly productive group that wants to maintain the purchasing power and spending habits when they already do not want to or can not work. Will shaped by traumatic experiences, in particular, that a person prepare for negative life events. Capacity, the potential is enormous. In addition to its economic growth, individuals have the potential purchasing power in the form of a very large deposit. Desire to diversify its financial enormous. Study routine performed by a broker indicating the population outside Java will spend more and save more. Increased prosperity encourage habits of basic needs to the needs of higher education. People want to buy insurance because they have more money. There is a saying: There was no insurance purchased, but which can be sold. Now different. With market potential above, I am very confident to sell insurance and investment would be easier, for example, ten years ago. What must be done is to educate current investment. We must lead the public to invest adequately appropriate and cost effective. Initially, in addition to buying a health insurance policy could also purchase a related unit is a combination of insurance and investment. As always, I always do what the old one. Since the beginning of 2012, my wife Adelina open consciousness to become an insurance agent. Adelina, the survivors struggle to provide the best insurance and investment solutions for many people who want to remain successful in the future. " Thus, the benefits of investment and insurance, we hope that you can take at the conclusion of the story above. 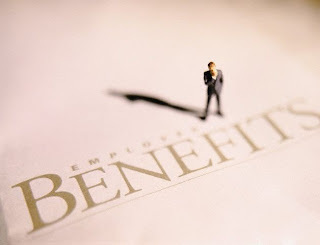 Keyword: benefit, insurance, benefits of insurance, benefits of investment, benefits of insurance and investment.